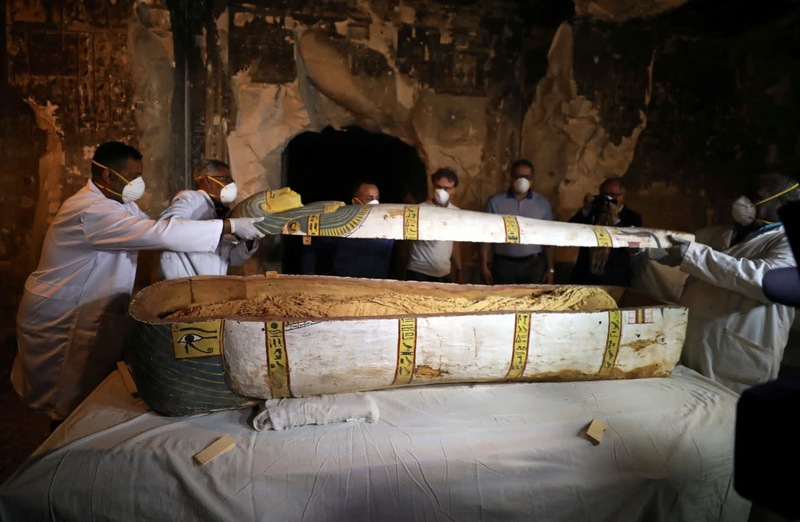 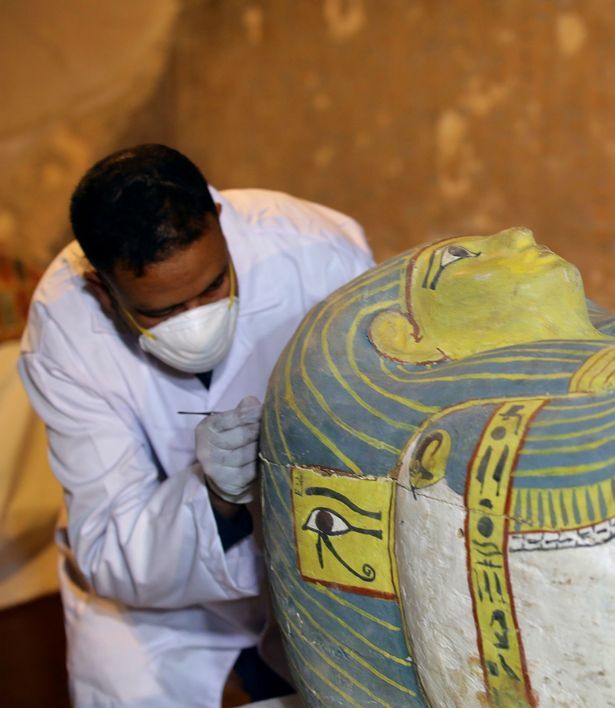 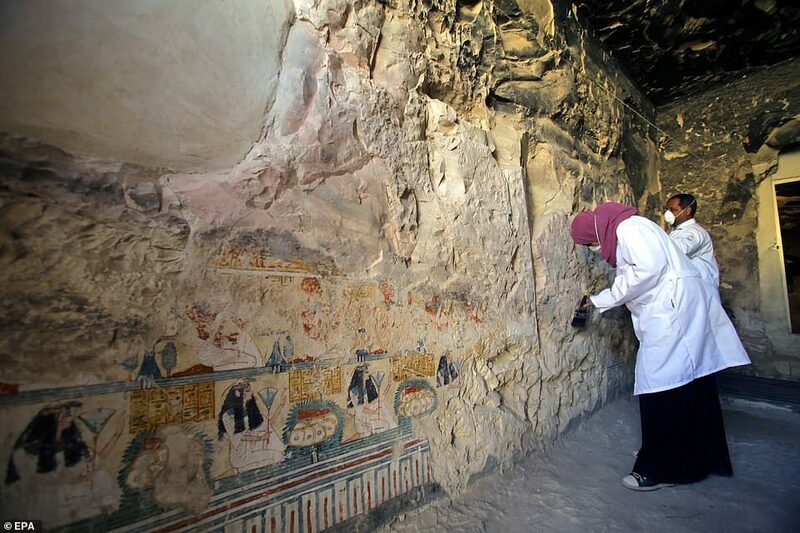 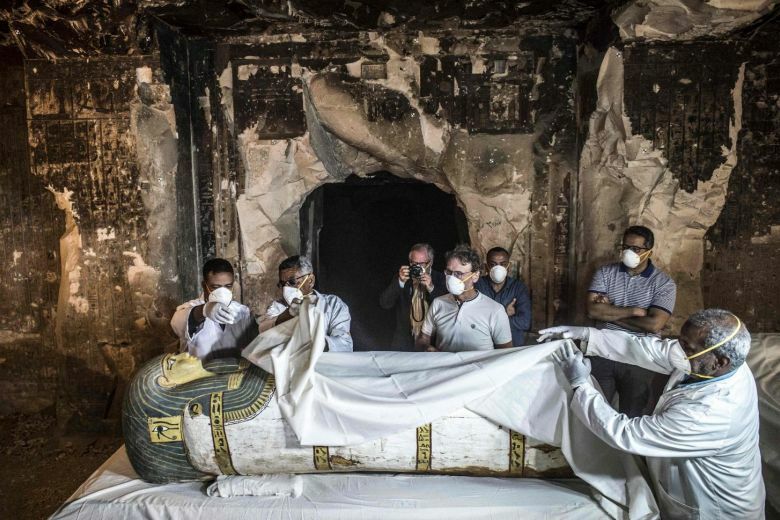 Egyptian archaeologists move the cover of an intact sarcophagus, inside Tomb TT33 in Luxor, 700km south of Cairo, Egypt, 24 Novmber 2018. 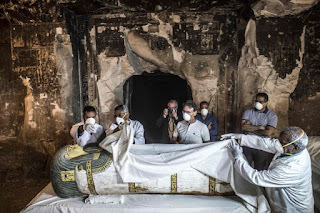 The tomb dates back to the Middle Kingdom, which spanned the 11th and 12th dynasties, and belonged to "Thaw-Irkhet-If", mummification supervisor at the Temple of Mut in Karnak. 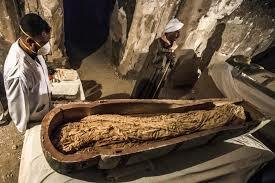 Among the finds in the tomb are sarcophagi, statues and some 1000 funerary figurines called "Ushabtis" made of wood, faience and clay.